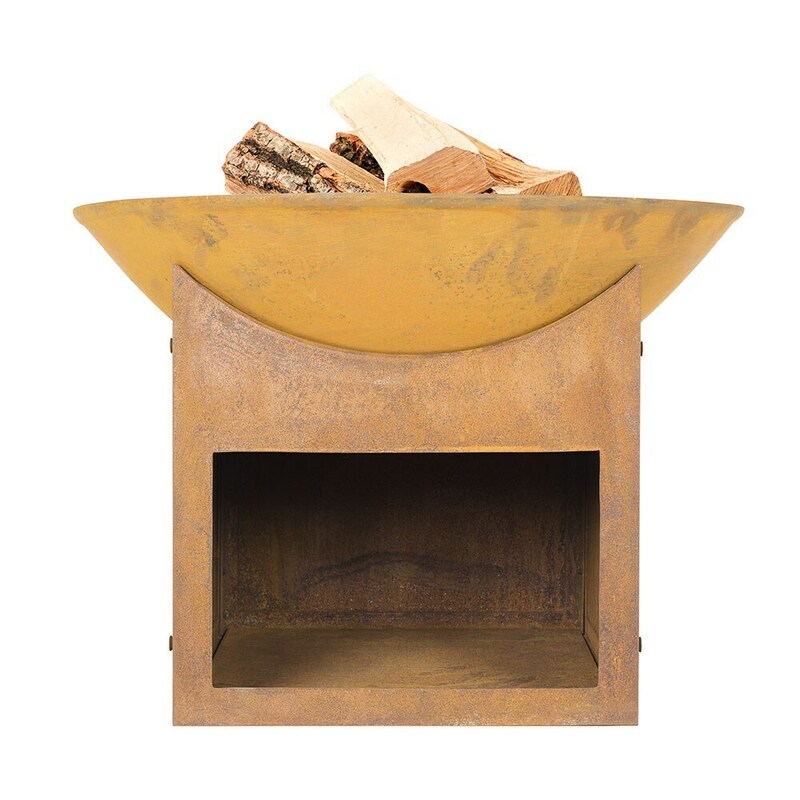 Buy Fasa oxidised firepit: Keep the party going long after the sun goes down with this stunning cast iron and steel Fasa firepit.<br><br>Compact and sturdy with a built-in log store and maintenance-free rusted finish, it makes a perfectly practical choice for smaller patios. Ideal for entertaining or simply sitting beside to relax and unwind at the end of the day.<br><br>Measurements:<br>Ø56cm x H40cm<br><br><b>Warning</b><br>For outdoor use only. Keep children and pets away from the brazier when lit. Always position away from buildings on a safe non-flammable surface. If using on a paed patio, place an additional protective paving stone made from solid natural stone or concrete at least 5cm thick. This will avoid possible discolouration and cracking of your patio, as some mock slabs made from resin or ceramic may be susceptible to heat damage. Only for use with logs or charcoal. Keep the party going long after the sun goes down with this stunning cast iron and steel Fasa firepit. Compact and sturdy with a built-in log store and maintenance-free rusted finish, it makes a perfectly practical choice for smaller patios. Ideal for entertaining or simply sitting beside to relax and unwind at the end of the day. For outdoor use only. Keep children and pets away from the brazier when lit. Always position away from buildings on a safe non-flammable surface. If using on a paed patio, place an additional protective paving stone made from solid natural stone or concrete at least 5cm thick. This will avoid possible discolouration and cracking of your patio, as some mock slabs made from resin or ceramic may be susceptible to heat damage. Only for use with logs or charcoal.